DEVONPORT Services will be hoping to secure a place in South West One on Saturday when they travel to Bristol club Chew Valley for a promotion play-off. Services finished second in Western Counties West, while Chew were runners-up in Western Counties North. It is a one-off, winner-takes-all match, which Services say they are relishing, despite the pressure involved. “We are looking forward to the challenge, to be fair,” said Services head coach Mike Lewis. He added: “We know a little bit about them (Chew). A few people have given us information on them. “They are a team that have a good counterattacking game, but they also play a forward-orientated game. From the reports we have heard they have also got two strong centres and a strong 15. Lewis says Services would love promotion to level six of English rugby. “It is what we have been working to for the last two years, but so have they. They lost to Cullompton last year in the play-offs. “We should have a really strong squad going up. I’m sure they’ll have a strong squad so it should be a good match. SALTASH, Plymouth Argaum and Plymstock Albion Oaks will bring an end to their league seasons on Saturday with away matches. Already-promoted Saltash face a tricky trip to Bude. 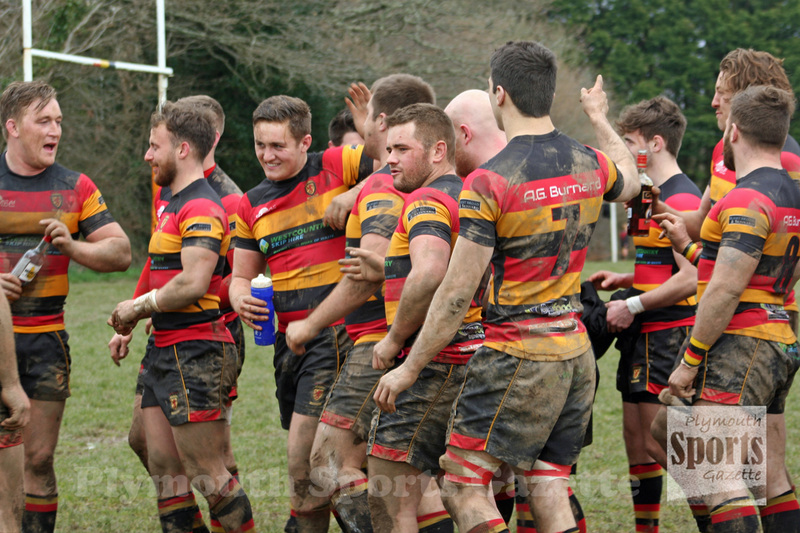 They are guaranteed to finish at least second after beating Tavistock 78-0 on Wednesday. It is still possible for them to win the title, but it would take the shock of the season for them to do that as bottom club Torrington would need to beat leaders Wellington away and deny them a bonus point when the Somerset side have not lost a single game for seven months. Saltash will be just glad they have already secured a top two spot before having to travel to Bude, who are well known for being tough to beat on their own pitch. Bude did give Saltash a tough match at Moorlands at the start of November before the host club won 35-20. The Ashes can now also afford to turn their attentions to their big Twickenham cup final on May 6. Oaks and Argaum go into their final games knowing they cannot change positions. Plymstock will finish eighth in the table, whether or not they beat bottom side Wessex this weekend. Although that is below where they had hoped to be at the start of the season they have won the Lockie Cup and Ellis Trophy this week. “It is a lovely way to finish the season,” said Oaks chairman Nigel Higginson. 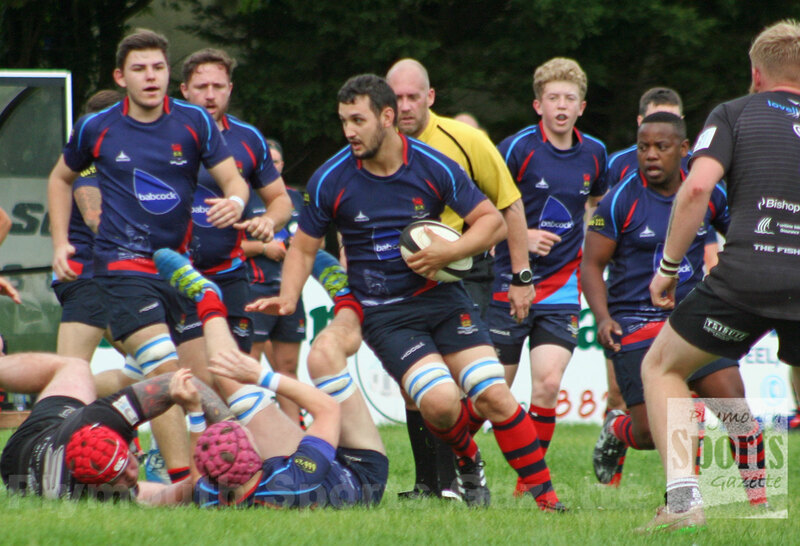 Although Wessex have only won three matches this season, Oaks will not be taking them lightly after the Exeter-based club pushed them hard at Horsham Fields in October, with Plymstock just winning 12-5. Meanwhile, Plymouth Argaum have a tough final game trip to fourth-placed Honiton. They will finish ninth in the standings after an impressive away win at Oaks last Saturday, but their biggest concern this weekend is getting a side out. “It is a rearranged game at the end of the season, so it is a struggle to get a team out,” admitted Argaum secretary Stuart Quarterman. “But we do have some very committed lads who have said they are going to go. Quarterman, though, admits had they had better availability every week and not had key players injured for long periods then their year could have been even better. Like a lot of clubs in the Cornwall/Devon League, Argaum’s problem has been getting a consistent side out each week. Tavistock, another team that have struggled to do that, are not in action this weekend, but they will play Wessex on May 5.